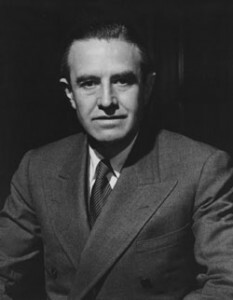 President Franklin Roosevelt sent Harriman to Britain and the Soviet Union to manage U.S. aid to these allies during World War II. From 1943 to 1946, Harriman served as ambassador to the Soviet Union, then, briefly, as ambassador to Great Britain (April to October 1946). He was Harry S. Truman’s secretary of commerce from 1947 to 1948, and— except for a period as governor of New York from 1954 to 1958—served Truman, John F. Kennedy, and Lyndon B. Johnson in various high-level capacities. As JFK’s assistant secretary of state for Far Eastern affairs (1961–1963), he helped negotiate the Nuclear Test-Ban Treaty, and as LBJ’s ambassador-at-large, he headed the U.S. delegation to the Paris peace talks in an effort to end the Vietnam War during 1968–1969. His greatest influence during the Cold War period was in advising presidents on U.S. Soviet policy.